Think back to when you first were looking at homes to buy. Did you peek into closets and cabinets? Did you check out attics and basements to see how much stuff they could hold? Storage space in a home is important, and it seems that as years go by, closets, cabinets, and attics fill up. 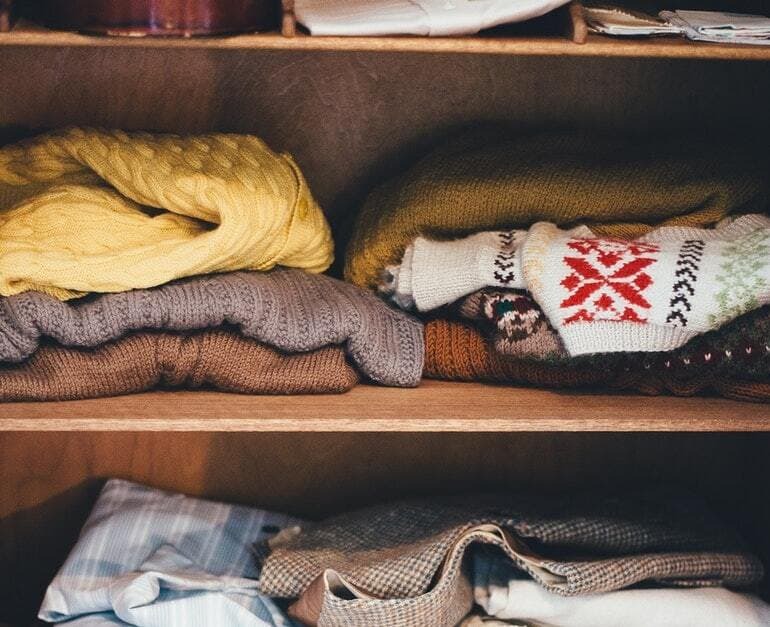 If you can’t bear to toss out or donate years’ worth of tacky holiday ornaments you never display, or clothes that were in fashion 10 years ago but haven’t been deemed “retro” yet, you may need to start storing things in your basement. Take a moment to thoroughly inspect your basement and foundation before you start stacking boxes along the walls. Look for cracks and stains on the floor and walls, as well as anything that looks like mold. You obviously want your basement to be dry anyway, but storing things in a wet basement can ruin them. Water can seep through cardboard boxes and damage what is inside, and moisture in the air also can dampen things. Have you ever seen books after they’ve gotten wet and sat around? It’s not pretty. If the basement walls are starting to crumble or buckle, you spot mold, or there is standing water, look into hiring a professional company such as Acculevel to determine what is causing moisture and water to enter the basement. Any minor damage can lead to larger structural damage if not taken care of in the early stages. But if things have gotten past that stage, you still can have any major damage repaired. A finished basement should be as dry as an unfinished basement. Just because it may have painted walls and wall-to-wall carpeting doesn’t mean water won’t enter it if there is outside pressure. In fact, painting and sealant may make it harder to catch problems early. If your paint or sealant is starting to bubble and flake, you have moisture issues in the wall behind it. If the concrete along the floor edge is cracking, you likely have moisture under the rug, too. Get this taken care of before you store your stuff. Unless you can guarantee your basement has no moisture issues, it’s best to store things in plastic airtight tubs on metal or plastic shelving units in case you experience flooding or heavy rains. Place any furniture you might be storing on bricks or pallets to keep them off the floor in case of flooding. Utilize the space behind the stairs. If your basement ceiling is high enough, you might be able to hang bikes or bulkier items from the rafters or hang a storage system for smaller boxes. All containers should be transparent so you can see what is inside. Label each container so that you will know what it contains. Periodically open your storage boxes and check to see if everything is in the same condition as when you first put it in the basement. Look for dampness, mold, and yellowing. If anything has deteriorated — and it’s not obvious moth holes or rodent nibbles — you likely have more humidity in your basement than you should have. Whether it’s sealing cracks or mold remediation, Acculevel has the skills and knowledge to make your basement nice and dry and ready for storage. Specializing in basements and foundations since 1996, Acculevel believes honesty is the best policy and will never charge you for unnecessary repairs. We are certified in mold remediation, so if your basement has signs of mold, we can handle that for you. If you live in the Midwest and want to reclaim your basement or fix your foundation, give us a call at 866-669-3349 or email us at [email protected].